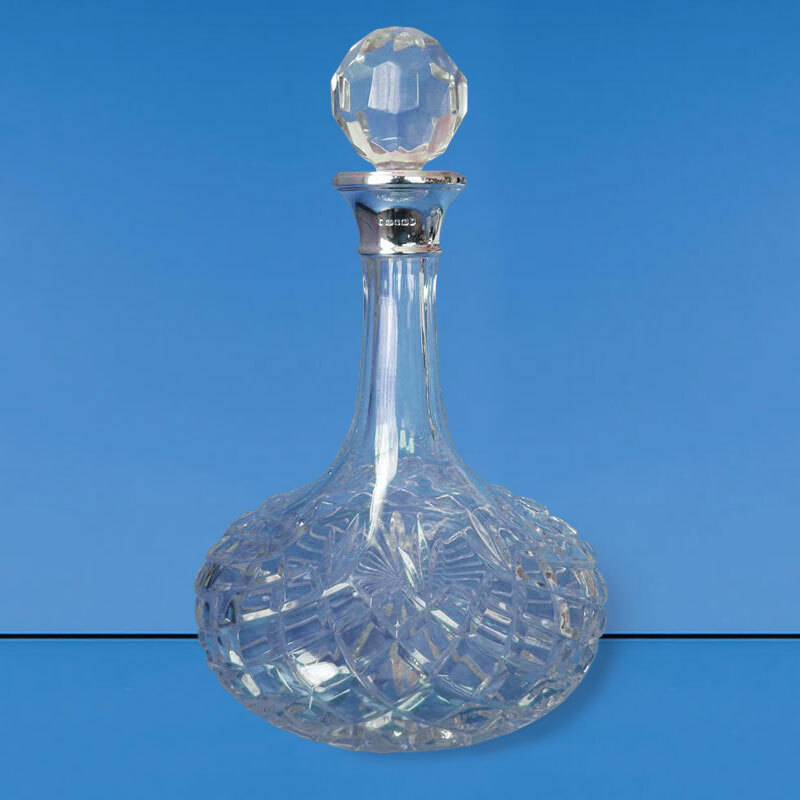 Superb crystal glass ship's decanter with classic cut decoration on the lower body with a blank panel for engraving. 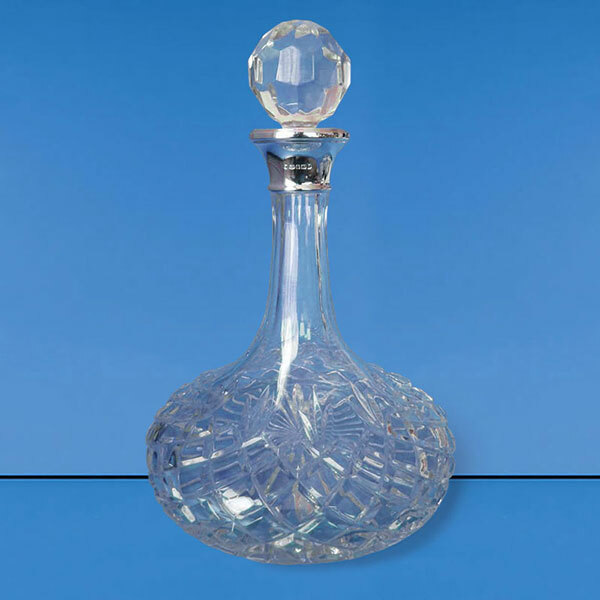 These 260mm tall decanters are perfect for wine (the large flat area at the bottom allows for aeration) and ideal engraved as personalised ship's decanters. 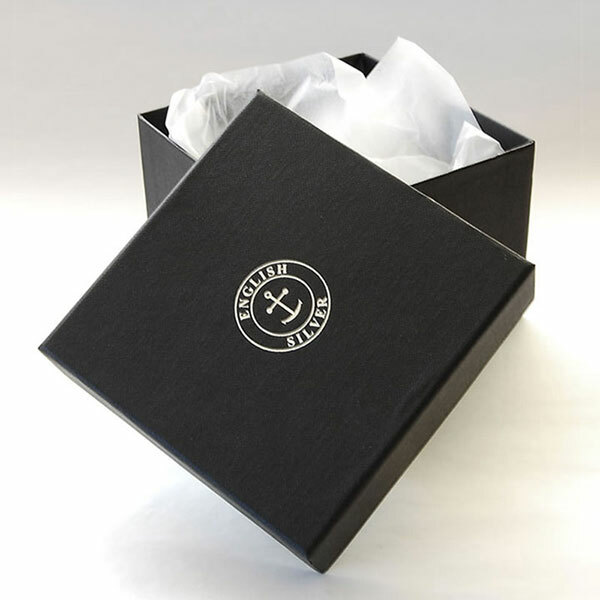 They include a multi-faceted glass ball stopper while the magnificent collar is handmade in sterling silver. Suitable for gifts, awards and presentations of the very highest order, these classic cut ship's decanters are supplied gift boxed.